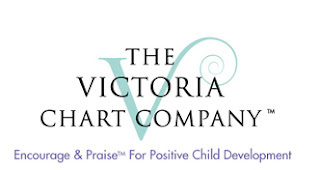 "The Victoria Chart Company™ was founded in 2004 by Victoria Ballard. Like any parent who wants the best for their child, Victoria wanted to do all that she could for her two children, particularly, her son who was diagnosed with Cerebral Palsy at 18 months. Victoria discovered that a reward system she developed worked fabulously well for her children. It built their self-esteem helping them to become confident and, most importantly, proud of their progress. The system worked so well that she has dedicated her time to creating tools for parents and professionals to help children and their families realize the power of developmental progress that comes from the simple process of Encourage & Praise™." 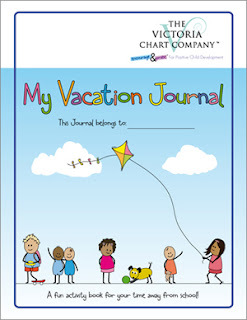 As the summer draws to a close, this Vacation Journal will help your young ones get some of their greatest memories saved for a lifetime on paper. With 7 days to complete your child can capture the highlights of their summer just in time for back to school. Age specific Reward Charts, a great back to school organizational tool! My Growing Up Chart is geared for ages 4 and up, perfect for your early elementary children. Stickers galore for the little ones to work toward their goals! They also have Meal Planners, Credit Charts and a Goodnight, Sleep Tight Chart. A great tool for positive reinforcement. Help your child excel and build self-esteem. A range of specially designed age-appropriate reward charts. Customizable to your child's specific needs. Effective for special needs including ADHD and autism. Provides easy-to-use tools for parents, caregivers and professionals. Check out the Victoria Chart Company Blog for help in using the charts and great back to school ideas. Victoria Chart on Facebook get a 15% off coupon on facebook! Watch for the Victoria Chart Giveaway in the Back to School Blog hop beginning Aug 1! :D LOVED STICKERSS as a kid!! I'm glad to see that they still incorporate that in reward systems for children! How cute are these? I love them! I'm still on the search for the perfect chart. These might be it. I'm a big believer in the reward system! They help the kids reach and accomplish their goals. Great company! Aw this is such a great idea. I will definitely have to do something like this once I have kids. I love how bright and colorful the charts and journals are. I love the journal - what a great idea. And the My Big Star chart is a good way to start with a very young child. These look like great products! The reward charts look really convenient, and I love the idea of a travel journal!